A simple, bright salad with a satisfying crunch that features Hellmann’s® Light Mayonnaise. Blanch sliced fennel in boiling, salted, water for 30 seconds. Drain and chill. 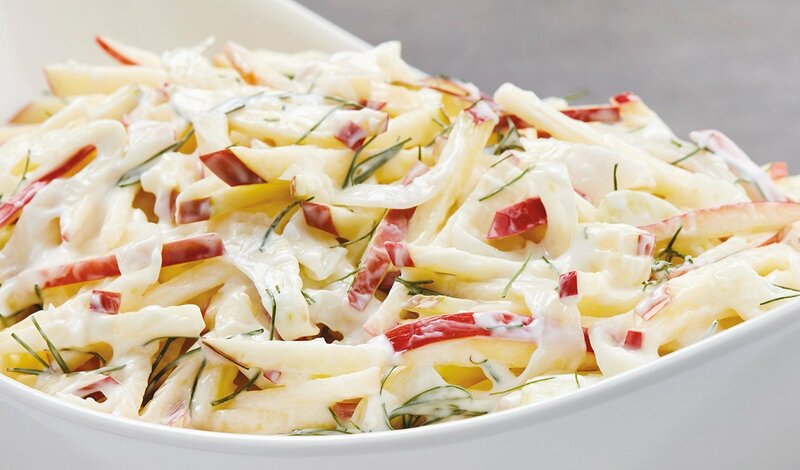 Toss julienne of apple with the lemon juice to coat well. Add Hellmann's® Light Mayonnaise and mix well, chill.